The various archaeological findings in the waters around Berlengas reflect the importance of the island in the coastal circulation throughout history. Peniche and the Berlengas archipelago constitute a unique case, as regards to the amount and diversity of wrecks occurring in its waters. One of the wrecks is the SS Spring, a steamer built in 1878. The ship, made of iron, sank of Berlenga in October 1902 while travelling between Palermo and Antwerp and is now at about 22 meters deep. The reason behind sinking was a fire on the cargo, which included hemp, asphalt, cork, tea and marble. Another wreck is the Greek steamer SS Andrios, also known as “Steam wheat”, since it transported wheat as the main cargo when it sank in November 1926. The ship lies about 27 meters deep and it still presents a set of three boilers, some of its structure and the hull. 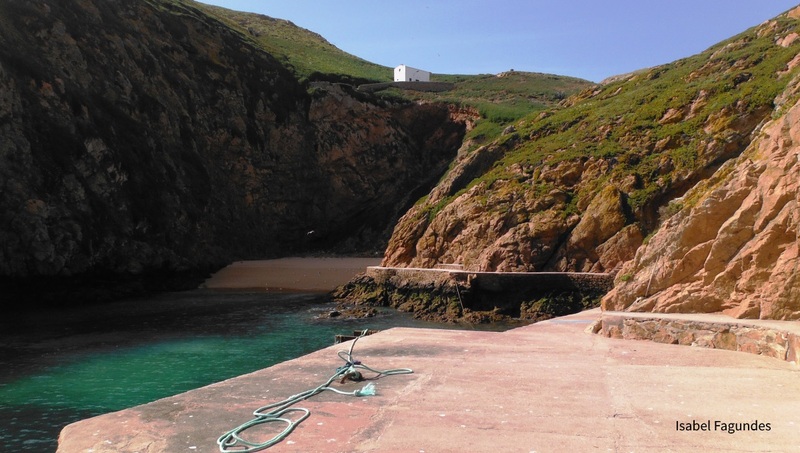 The various archaeological findings in the waters around Berlengas, some of them from the Bronze Age, reflect the importance of the island in the coastal circulation throughout history. The asset found is dated from ancient times, including some from the Roman period, but most of the artefacts are from the XVI century. Among the findings, some highlights include Halten 70 amphorae from the first century; brass cots and artillery pieces made of iron from the second half of the XVI century; several stumps and anchors made of stone, ranging from the Bronze Age until the end of medieval times. A wood core and a large block of lead found in the “Melreu” area indicate an origin prior to the beginning of the Roman presence in Portugal (II century BC). This set of findings tells us that the island was used as an anchorage point for commercial vessels, both medium and long journey, as the ones that linked the Mediterranean with the Atlantic Roman territories.